Gods of Thunder Collide in Comic Book-Gaming Art Mash-Up! In 2008, gamers got a front row ticket to a clash between Mortal Kombat and their superhero equivalents in the DC Universe. Earthrealm's best went toe-to-toe with the likes of Superman, Captain Marvel & Darkseid -- but what if Raiden had found himself in the world of Marvel Comics? The latest instalment of Comic Book Resource's weekly art jam - The Line it is Drawn - pitted comics against video games, and Raiden against Thor! Artist Mike Rooth called upon a classic Mortal Kombat II design to meet the suggestion of a battle between Thunder Gods! The lightning charged clash reveals no superior in this mock cover to the monthly Thor series -- presenting Raiden in the fashion of any guest starring villain or rival! For combative conclusions you'll have to flash back to 2012, when we featured Screw Attack Death Battle's fantasy fight of the same match-up [full story]. You can join that heated debate on the forums! Otherwise, just take in the visual splendour that is this fine piece of crossover fan-art -- a battle we're unlikely to see any time soon! Also featured in the game/comics mash-ups: Robin in Fruit Ninja; Flash & Gorilla Grodd in Donkey Kong; Jimmy Olsen plays Superman 64; Rocket Raccoon in Space Invaders; Machine Man versus Mega Man and more! 6/28/2013 ScrewAttack Death Battle - Shao Kahn versus Bison! 12/2/2012 FIGHT: ScrewAttack Death Battle - Thor versus Raiden! 9/15/2012 Mortal Kurio: Quan Chi - Manga Menace? 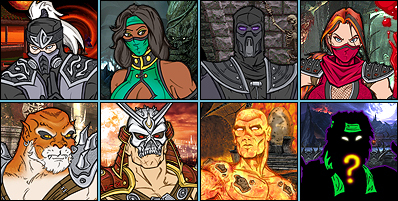 5/13/2012 Tournament: Who is the Supreme Mortal Kombat Champion? 3/7/2011 Raiden Belltower Wallpaper Released! 12/21/2010 Shang Tsung Featured in Latest ScrewAttack Death Battle! 8/28/2008 Midway Releases Raiden Render from Mortal Kombat vs DC Universe! 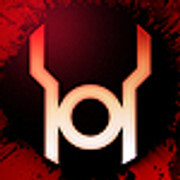 Get in touch with kombat pop culture on the Mortal Kombat Online forums! Learn more about the importance of comics to MK; find & share more fan-art in the Fan Submission forum; and discuss all things DC in the DC Universe Injustice forum! Well I hope Raiden wins this time! Thor's nothing without Mjölnir, at least Raiden can channel lightning by his own without the use of a weapon. <div class="forumQuote"><b>CageFan21 Wrote:</b><br/>Thor's nothing without Mjölnir</div> <br/> <br/>That's not actually true. <br/> <br/>Besides, the hammer comes when he calls, when's he gonna be without it? Besides, the hammer comes when he calls, when's he gonna be without it? After Rayden teleports Mjolnir to the nether realm. ...Always thought this was a silly match up. I like the idea better that Raiden/Thor is old enough to be Raiden & Thor at different times, celebrated by different cultures...where the people simplified the common denominator "The God of Thunder & Lightning" with either Raiden or Thor. Anywho, iMo, one doesn't "beat" the other...they're the same guy with different clothes on. They often have similar if not the same weapons (hammer/staff/lighting bolt), same characteristics (white guy, blond hair // god form & human form), powers (generate or manipulate electricity), ability to be killed and come back to life...etc. One is the other's doppelgänger, and it's time to determine which way it is. For the real deal, I'll go with the one who didn't get his mortal allies killed for no good reason.